Hi, I'm Caleb from The Decking Guys! 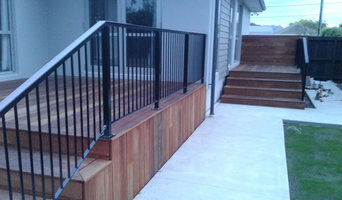 We specialise in building terrific looking and long lasting hardwood decks. We have a team of 7 dedicated professionals creating masterpieces in your home. Shadowspec Luxury Umbrellas is one of the foremost Outdoor Umbrella provider in New Zealand. 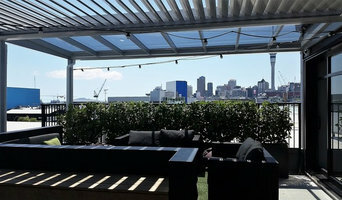 They offer a wide range of finest quality Commercial Grade Outdoor Cantilever Patio Umbrellas, Offset Pool Deck Umbrellas, High Wind performance Umbrellas and Commercial Centre Pole Umbrellas online in New Zealand. 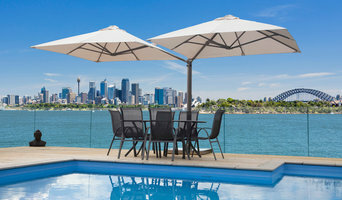 Company Overview:- Shadowspec Luxury Umbrellas is one of the renowned online platforms for high-quality umbrellas in Australia They offer a premium range of luxury outdoor umbrellas that have eye catching designs & unique styles that set them apart. They specialize in providing premium outdoor and patio umbrellas i.e. suitable for a wide range of applications both domestic and commercial. Some of their umbrellas range includes: Cantilever umbrellas, Wall mounted umbrellas, double cantilever umbrellas, high wind performance umbrella rotating cantilever umbrellas and many more. Their major focus is on providing long-lasting, easy to use, eminent patio umbrellas that deliver personal comfort in the outdoor environment, enrich and add value to the surroundings of any location. Importers and distributors of StabiWood composite fencing and decking. Supplying only to the trade. 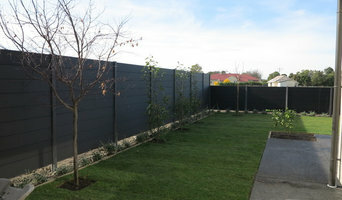 Our fencing product is modern, low maintenance, quick to install, and colour options to match contemporary houses. Why settle for a standard wooden post and rail fence on your new house, when you can have a sleek and modern StabiWood fence that does not need painting, won't warp or rot and looks the same from both sides. We design and construct covered Pergolas in the Auckland area. We offer a range of different systems. Our framing is mainly Powder Coated Aluminium, but we can wood as well. A full range of budgets and styles of Curtains can also be supplied and installed by Outdoor Structures to enclose your Canopy. Brands we install include Ziptrak, PSP ClearVue and Shade Elements. AT DOUGLAS, WE'RE HAWKE'S BAY'S EXPERTS IN TEXTILE DESIGN & FABRICATION. Whether you’re looking to enhance and add value to your outdoor living area with a stunning roof, canopy or screen system or you want to bring your car or boat back to life with our custom marine and auto upholstery, we’ll work with you to create a solution that fits your needs. With more than 20 years in the business, we are specialists who pride ourselves on exceeding expectations. Our award-winning team strives for perfection and places integrity at the heart of all our work, bringing you the optimal balance of style, functionality and quality. We welcome you to visit our Hastings showroom for inspiration, or send us an enquiry. TheOutside- a quintessential passion for outdoor life. New Zealand, the best wine and cuisine in the world. New Zealand, the most beautiful place to work and live. TheOutside, a design and manufacturing company creating products for your New Zealand Outdoor entertaining and living lifestyle. THE HIDDEN DECK FASTENER WITH BITE It is a more simple, more effective and long-lasting method of fastening a deck together. Sharkstooth is a hidden deck fastening system like no other. 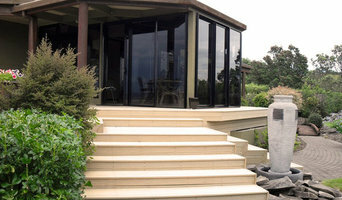 Designed and manufactured in New Zealand this system will take any decking project to the next level. We are a young, focused business with the ability to help finish your outdoor area, Whether it be an awning, shade sail or a full outdoor room. We can sort design and build of whatever will suit your needs. Custom Outdoor Shading and Light Control with a difference, the choice is yours. Unique offers a diverse range of products to extend your living areas for hot summers or enclose your patio for cold winters. No matter what your needs, Unique has a solution. For sun, wind, rain and UV protection Unique have a solution to meet your requirements. Louvretec offers a range of Opening Louvre Roofs, airfoil shaped Sun Louvre Systems, Window Shutters, Window Blinds, weather board shaped Louvreline Panels and Gates, Fences and Screens. We also offer a range of Outdoor Blinds including our Mesh Shade Blinds and Clear PVC Screens / Cafe style Blinds. These products work together to create the ultimate Louvretec Outdoor Room. Vision Living beautifies homes & commercial properties with quality toughened glass and aluminium solutions, on time and to budget. Your Weather Protection Specialists 0800 Sunshade have built a reputation as one of the leading providers of weather protection products in New Zealand and to Pacific Islands. We’ve spent over 20 years making our customers happy, and we’ve used our experience to focus on being the best at what we do. That’s why we invest time in finding the right combination of materials and structure to meet your weather protection needs. By designing and manufacturing solutions that recognize your environment, we can be sure that our weather protection solutions do the job well and are made to last. We design, manufacture, supply and install quality outdoor shade options with a guarantee on our work and products.